A group of four designers from JetBlue Airways spent two days in the Herb Lubalin Study Center of Design doing research on the typefaces, colors and design elements of the early 1960s, a period considered the heyday of air travel glamour. 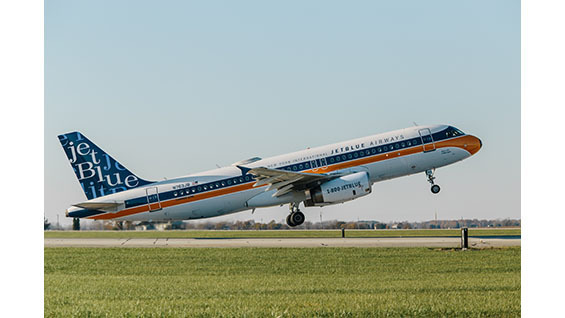 Their goal was to glean ideas for the company's recently commissioned RetroJet, an Airbus A320 with typeface and color meant to evoke the era of well-dressed travelers and tarmac arrivals. But since the company is only 16 years old, it had no “retro” history of its own to draw on. Instead they sent designers to study typography and design ephemera of the time. Ciara Cordasco, a graphic designer at JetBlue, said, "The Lubalin archive was instrumental in our research for this project. Truly a hidden gem of the city." In September 2015, Alexander Tochilovsky, director of the Lubalin Center, gave the group a guided tour of the archive's holdings on their first visit. "Whenever we have design teams visit us, I tell them that if they ever have a specific area that they are researching to reach out to us, and we can curate a selection of materials based on their topics," Tochilovsky said. "They did exactly that when they were given the RetroJet project to work on." 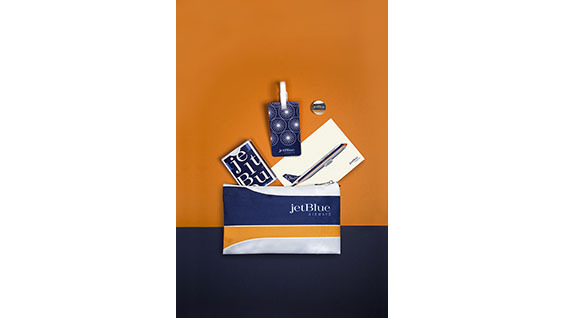 The RetroJet, which is named “Everything Old Is Blue Again,” made its inaugural flight on November 11 from New York City to Palm Springs, a route that itself conjures poolside drinks, bossa nova and Neutra-designed houses. For a few days, the airline even operated a pop-up store with 1960s prices. "We loved working on this project and it would not have been possible without the Lubalin archive," Cordasco noted.